10 Biggest Travel Mistakes and How to Avoid Them! Whether it is your first international trip or you are a regular traveler to far-off places; there are certain mistakes that can often occur intentionally or unintentionally which might cause inconvenience to you. Here are the top 10 biggest travel mistakes that even a pro traveler can make and here’s how you can avoid them in the first place. How do you avoid travel mistakes? What is the biggest travel mistake you have made? Though it’s always tempting to pack a lot of colorful outfits for all the possible reasons; however, you may find yourself stuck with baggage issues as you travel around. Moreover, if you are off to an international trip; over packing might cost you a lot of fees as you exceed the standard weight limit at the airport. So, it is recommended to bring few clothing accessories which are suited best for the climatic conditions and the best boots for staying comfortable throughout the trip. Want to avoid unnecessary data roaming charges? While setting off to any trip; make sure that you turn off your data plan before boarding the plane and connect to the local WIFI. If somehow you can’t turn off the data due to unavoidable reasons; try searching an international data plan or end up buying a local SIM card as you land. One of the few hassles that every traveler goes through is not booking the flights in advance. Since the cancellations of flights or change of schedules depend solely on the discretion of the Airline Company; it is recommended to book advanced flights in a couple of Airlines to avoid the last-minute rush to the airport. The moment you leave the airport; you will be needing the local currency of that particular destination where you are headed to in order to ride on public transport or taxis. If you will draw out money from the local ATMs; it will cost you the withdrawal charges which can vary from country to country. While traveling; relying on credit card solely is not recommended. While setting off to any travel destination; it is recommended to inform your credit card company beforehand so that they may keep a good look on your transactions and can block the credit card in advance in case of any fraud or mishap. Many credit card companies offer great discounts on travel plans so you should consult them before leaving. Since travel insurance covers a lot of perks for you including the cancellation fees and other expenses, for instance, medical expenses of all kinds; it is important to buy a suitable travel plan before you set off on an international trip. Going through the drill of visa processing in a foreign land can be a tedious process and it will be even more challenging if you have not made the required arrangements for visa processing in time. So, make sure that you don’t end up canceling your trip by taking care of all the visa requirements beforehand. Make sure that you carry a small satchel with you where you keep all of your reservation details, the copies of your passport and important documents especially while going abroad. This will come as very handy in the long run. Moreover, always follow-up on your hotel and transport reservation details to avoid any hassle. Though it might sound fascinating it will also limit your possibilities. 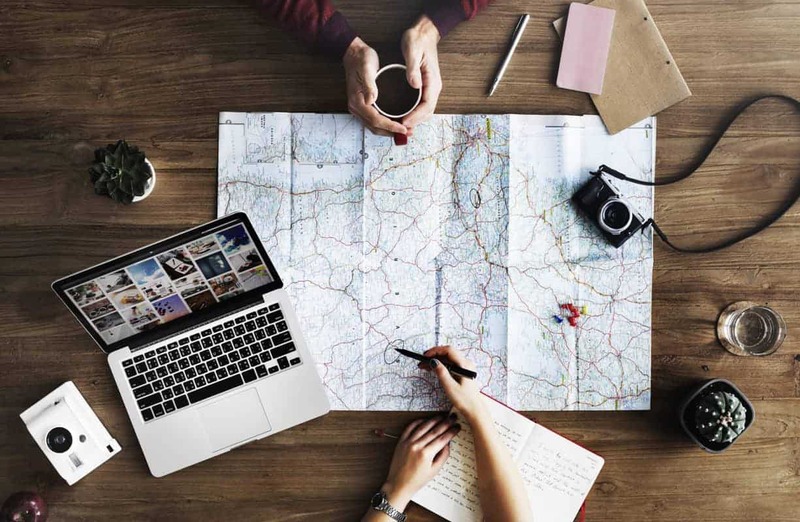 Stuffing too many activities or planning to visit too many countries in one go will make you more exhausted and you will not be able to explore all the places along with their specialties. Probably the last thing you would want to experience on a trip is to get robbed or become a victim of a theft. So, go ahead and buy the latest Anti-theft bags with lots of hidden pockets where you can keep your valuables, your cash and necessary stuff that you can’t afford to lose at any cost on a holiday trip. These bags on Amazon are a great option to reduce your risk of being robbed when traveling.